Need a good, all-around load for your .44 Remington Magnum? 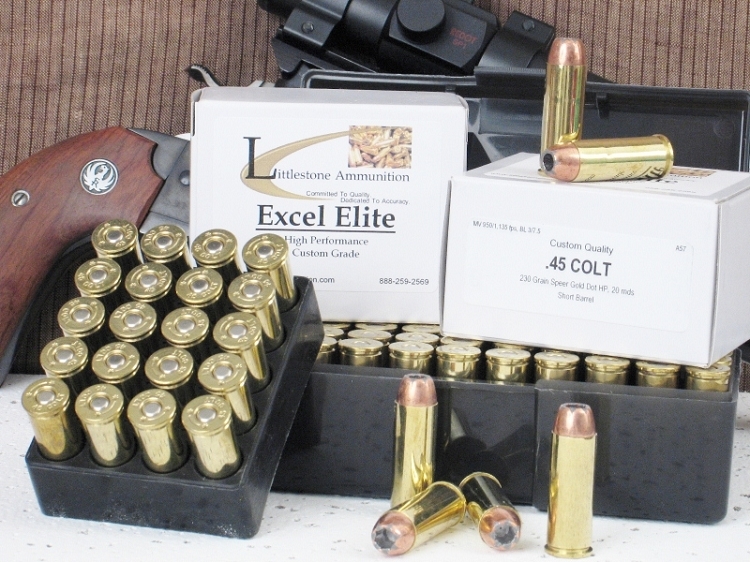 Then chamber Littlestone Ammunition's high velocity loading of Hornady's XTP bullet. This 20-round box features 240-grain bullets with a muzzle velocity of 1,420 fps and 1,075 foot pounds of energy. The XTP is a jacketed, lead core bullet and its exceptional accuracy and high weight retention are well known. In fact, its accuracy is such that it is the bullet of choice of some world champion competition shooters. It is a reliable, value-packed round that performs well for those who use it. If you want a solid, dependable load for your .44 Remington Magnum revolver, this would be a very good choice. Feature 3: MV / Energy / Barrel: 1,400 fps / 1,045 ft lbs / 7.5"